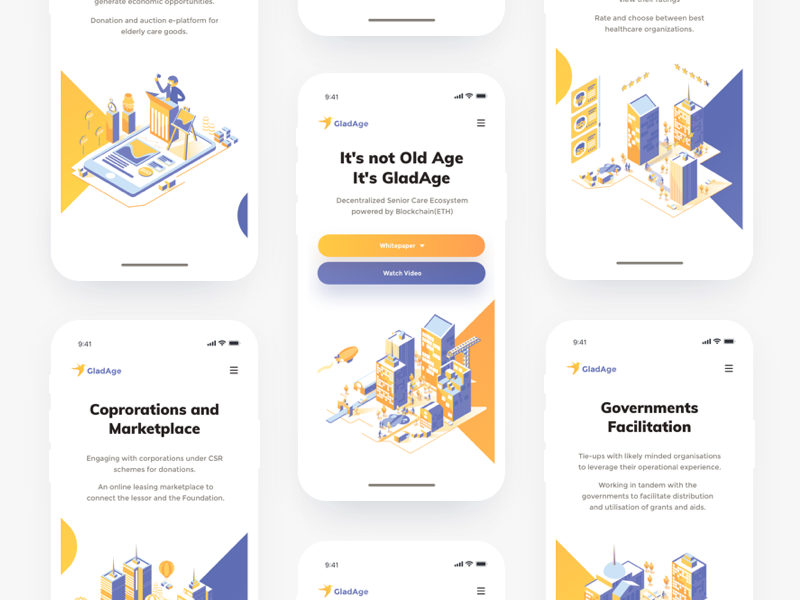 Here is the responsive sollution for GladAge project, with all the illustrations included. The client wanted to make sure that immediate care and all those services that senior citizens require are always available to them, wherever they are. Here it is in front of you! Let us know about a project that you worked on, that has a deeper meaning than just a paycheck to you? Hit us up on hello@flairdigital.co to discuss what you are doing and how we can help. Hit that “L” if you think this is a noble ico!